Eric is a Sales Presentations Trainer, Executive Speaking Coach and Conference Speaker. He is the creator of the ﻿"T.R.U.E Presentations"﻿, a tool for helping individuals and organisations to create and deliver Sales Presentations that are memorable, engaging and persuasive which result in increased sales, enhanced reputations and competitive advantages. 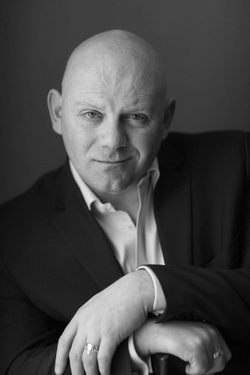 He has spoken, coached and trained in the USA, the UK and throughout Ireland and for the last few years has been recognised as one of the leading speakers in Britain and Ireland. He is a member of the Sales institute of Ireland, the Professional Speakers association and the Irish Institute of Training and Development. He lives in Dublin with his wife Catherine and daughters, Louise and Amy.